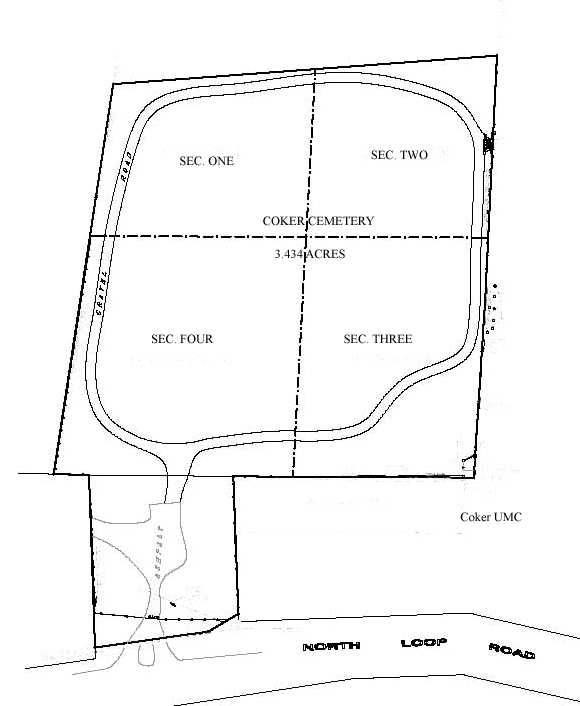 Below is a Site Plan of Coker Cemetery. The cemetery is divided into four Quadrants or Sections. Each Section is further divided into Grids. Each burial has both a Grid Location and a Marker number. Click below to display the Site Plan, Section, Typical Grid Number Plan, or List of Burials for Coker Cemetery.